With Double Fine’s Cave just released, it’s time to share a short list of the games I’m looking forward to and why. 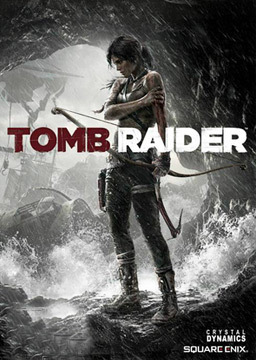 With an honourable mentioning of Tomb Raider, obviously. Will this be the year for Team Ico’s new beauty? For many reasons, this is my favourite game studio and I cherish their games. I have longed for this title in 2012 and will keep longing until it’s in my Playstation 3. What appeals to me in their previous titles are the sense of exploration, the motives of care, friendship and the relationships with animals. The team crafts large worlds that are unpopulated, lonely and full of nature. The puzzles are enjoyable and integrated in the design instead of obvious elements. The Last Guardian may be more about taming the animal and forging a relationship with it. Why? I expect a satisfying and emotionally rich experience. 2013 also brings another spiritual thriller from the creators of Heavy Rain with actress Ellen Page. Quantic Dream makes innovative games and interactive films. Why? In the past, their game play was at times annoying or depended too much on quick time events. I’m excited to see how and where they progressed and what changes they made. The narrative also appeals to me as it again mixes the genres of crimes and spirituality? An atmospheric, almost Ghibli like adventure game that is nearly out in Europe. I’m very drawn to the animation and styles. It seems adorable and relaxed, set in a fantastic story world. Why? It’s been a long while since I saw a Japanese game that really interested me. Many of them seem set in very specific genres, like J-RPG’s, and the previous adventure games like Zelda: Skyward Sword ultimately disappointed me. This seems great and I hope I’m not wrong. With Epic Mickey 2 being a slight disappointment, the adventures of the Disney and Pixar cast in Disney Infinity may be worthwhile and restore belief in the franchise. Disney has had a range of game adaptations; some of them mediocre at best, others brilliant (such as the first Kingdom Hearts). The game pulls together types of play that we have seen before. It comes with special figurines on which data, virtual tokens and so on are saved. While the characters are in their own universes most of the time; the game also blends narrative universes in a special mode. Moreover, it has a “toy box” mode in which players can create their own levels (similar to Little Big Planet). Why? The game explicitly brings toys and games together. The game play could be childish but also fun and even nostalgic. I wonder how it continues the transmedial adventures of Disney. It’s been a while since I was interested in a Pokémon game but this title has it all. And finally, you can walk diagonally as well. Why? New Pokémon in a 3D environment. I have been looking forward to this since I was 13 and the only games released on N64, Gamecube and Wii were feeble titles that weren’t RPG’s at all. Now we can finally share 3D Pokémon on our handheld. That took them over a decade so you can’t imagine my joy.